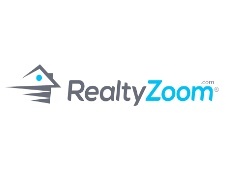 RealtyZoom is a full service listing agency that lets you list your home on local MLS and hundreds of top real estate sites for just 1% listing commission. We don’t take any upfront fees and you pay us 1% of the transaction only after the sale. Free yard sign, personal assistance to negotiate and close, maximum number of pictures to upload, full representation are some of the perks we offer. For more details, visit https://www.realtyzoom.com/ and https://www.realtyzoom.com/Home/ForSaleByOwner.